Three teenage passengers lost their lives while another teenager suffered catastrophic injuries when their vehicle smashed into the roof of a turnpike toll plaza on McNabb Road in North Lauderdale. Two of the teenagers died at the scene of the crash while the other teen died while being treated at Broward Health North. Reports indicate that the driver of the vehicle was speeding at the time of the tragic crash, according to the Miami Herald. 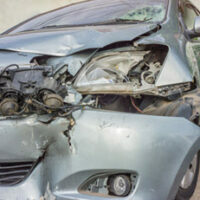 Unfortunately, fatal car wrecks are quite common in Florida. Approximately 3,091 people lost their lives in automobile collisions in the Sunshine State in 2016. That means 2016 was the deadliest year for automobile accidents since 2007, according to the Sun-Sentinel. If your spouse, child, sibling, etc. was a passenger in a vehicle that wound up in a deadly collision caused by the reckless decisions of the driver, you may be able to hold them accountable through a wrongful death claim. In Florida, wrongful death is defined as the loss of life proximately caused by the negligent or reckless behavior of another. Negligence is the legal standard you need to meet to prevail in a wrongful death action to hold the driver liable for the harms and losses you endured from the fatal car wreck. The law states that a motorist has a duty of care to operate their vehicle in a reasonably safe manner and comply with the rules of the road. If a motorist breaches this duty and that breach proximately caused your loved one’s death, the motorist can be found negligent and therefore liable. It is important to understand that only specific individuals may file a wrongful death action in a Florida court. Florida Statutes 768.16-768.26 govern wrongful death actions in Florida. This state law stipulates that a civil wrongful death claim may only be filed by a surviving family member of the victim. This means if you were engaged to the victim, but not married, you will not be able to file a wrongful death action. The loss of companionship, guidance, support and care. According to the Florida statute of limitations, you only have two years from the date of your loved one’s death to file a wrongful death action in a Florida civil court. This means you need to take action right away and contact an attorney to discuss your legal options. The Miami wrongful death lawyers of Alan Goldfarb, P.A. appreciate and understand the fact that losing a loved one in an unexpected car accident is devastating. You should focus on grieving. Let us handle the legal issues and paperwork. Contact our office today to schedule a free, confidential consultation.